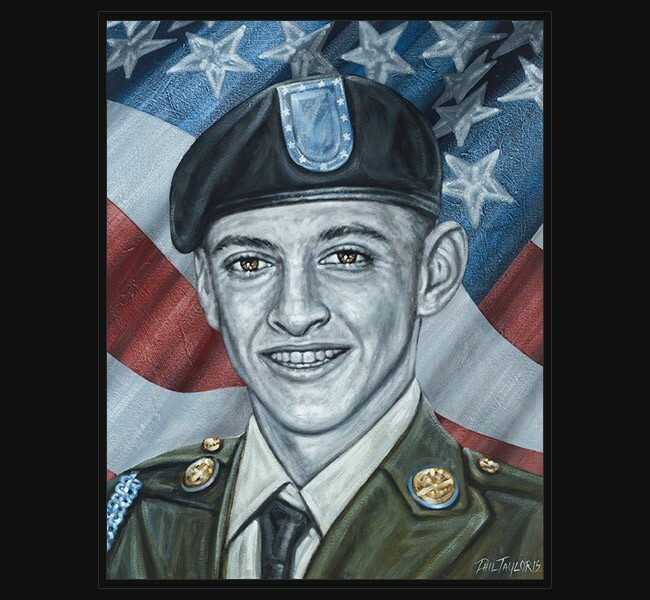 Army PFC Anthony Nunn died May 30, 2011 of wounds sustained after insurgents attacked his unit using an IED in Nike district, Paktika province, Afghanistan. The Army was something Anthony believed in strongly and started the process to join his Junior year. He graduated in June 2010 and immediately enlisted, arriving at Fort Campbell in October of that year. He had only been in Afghanistan three weeks when he was killed. Anthony was posthumously awardedthe Bronze Star, Purple Heart, Army Good Conduct Medal and Combat Infantry Badge. Portrait was presented July 5, 2015 at a memorial service to Anthony’s family and friends at Christ Church Fort Worth in Fort Worth, Texas.